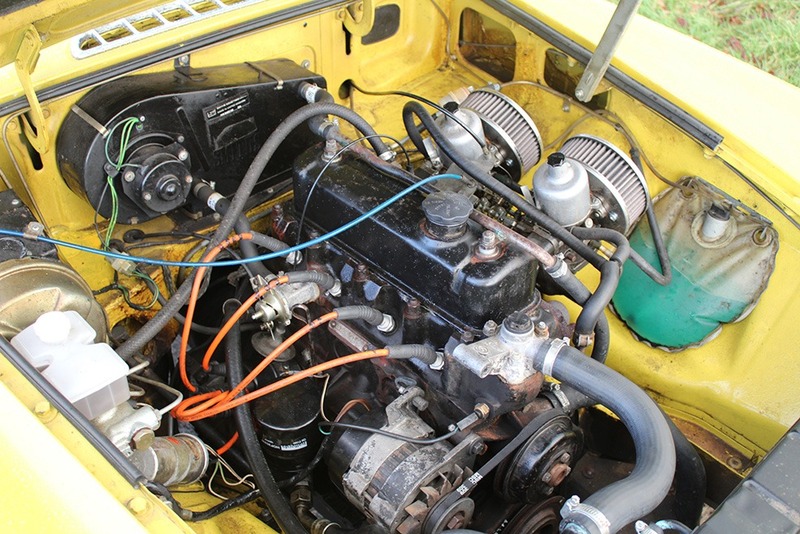 My experiences with the much-scorned rubber bumper MGB models has not been very cheery. With any MGB now anywhere between 56 and 38 years old, each car is unique and what they’re like to drive will vary hugely depending on how well they’ve been maintained, how they’ve been used what work they’ve had done (and to what standard) and what has (or has not) been bolted on to them over the years. Be it chrome or rubber bumpers two ostensibly identical MGBs can be utterly different to drive, but all the rubber-clad, deckchair-seated ones have felt of a lower standard than the lauded chrome-fendered ones. The best ‘70s models have been better than the worst ‘60s ones, but it seemed to be clear-cut that the infamy of the post-1974 cars as softer, slower, heavier and more wallowy caricatures of the original was deserved. It was the earlier cars where the true enjoyment was to be had. And here is the latest of late cars, a rubber-bumper GT in ‘Snapdragon’ yellow with grey/black deckchair seats, the final facelifted interior with the moulded plastic dashboard and the plastic four-spoke steering wheel, Rostyle wheels and even a period-fit tilt-and-slide Britax sunroof. This ‘B is so late that it was registered in 1981, even though the Abingdon factory closed in October 1980. With three owners from new and enough documentation to strongly support, if not wholly prove, that it’s 53,000 miles is genuine, this car doesn’t seem to have aged a lot since about 1986. It’s not perfect and has clearly been used, but it has also clearly been very well looked after. The most recent owner was a retired AA patrolman, which bodes very well. He rebuilt the front suspension, upgraded to ventilated front brakes (the only change from standard specification) and fitted the towbar. There is no visible corrosion in any of the MGB’s favoured rust spots, just original paint and underseal under a light layer of road grime which speaks of a car in well-used but well-cared for condition. The same goes for the engine bay, which is tidy and has signs of new parts here and there but is also not suspiciously clean or infested with inappropriate chromed or painted parts. The only non-standard item is a pair of pancake-type air filters on the twin SUs. Everything is present and correct in the cabin, with no missing trim, no cracked plastic, a full compliment of gauges, tidy carpets and a pristine headlining. 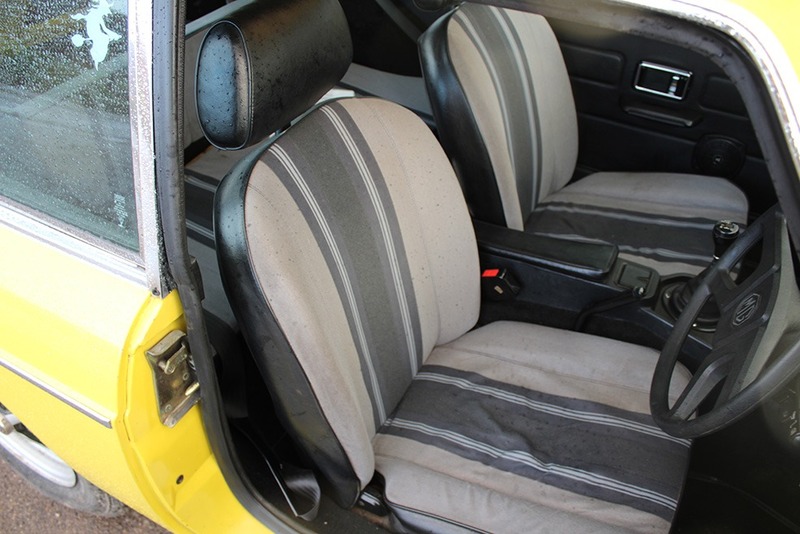 Even the dreaded seat material, while showing 30-odd years of use, is not ripped or torn. I’ll just say it straight out – this ‘B was as much a revelation as that perfectly-restored Mk1 from Yorkshire was. Which means this is one of the best MGB’s I’ve ever driven, of any sort. 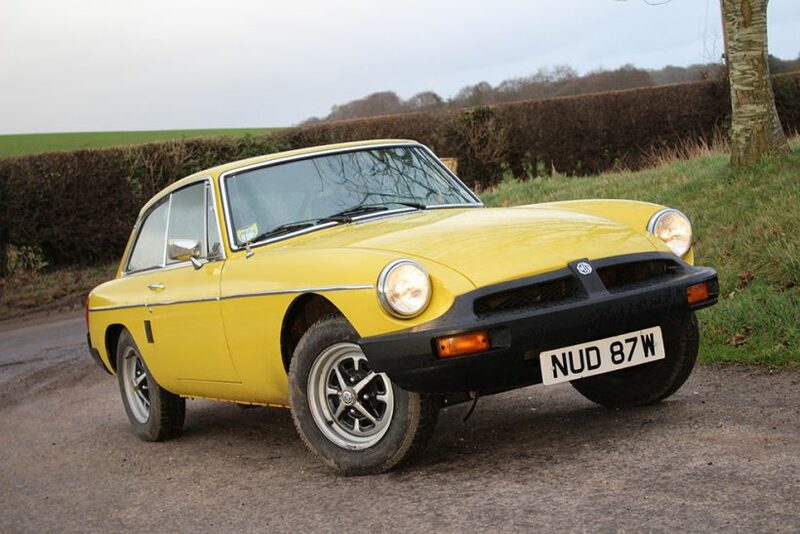 A very late example should be better to drive than a mid-’70s example – MG restored the anti-roll bars and uprated the springs to undo some of the damage done in the 1974 changes – but this GT puts even others of the same age that I’ve tried to shame. The mechanical condition of this car is absolutely first-rate. As well as an engine so smooth and responsive across its entire rev range that it could well be running on fuel injection (if it wasn’t for the unmistakeable barrage of induction sound) there is no hint of drivetrain shunt or transmission noise. The clutch is heavy but operates without judder or jolt. The plastic-knobbed gear lever slides around its tightly-defined gate with the best all-mechanical feel, while flicking the overdrive switch on top brings the extra gear into action quickly but without any harshness. The steering is weighty but smooth, full of feel and without any shuddering or slack. The ride was, as a GT should be in good condition, remarkably pliant but still engagingly firm. There was no crashing over bumps as you get from poor pattern-part leaf springs, no soggy wander from tired front coils and no lurching or lolling from ancient dampers or frayed bushes. Instead there was just a pleasing sense of ‘togetherness’, of the various parts of the car working as a well-resolved whole. And for all its chunky bumpers and raised ride height I really couldn’t say that this ‘B was any worse than some of the best 1960s examples I’ve tried. It was certainly more comfortable and more refined – a machine worthy of the GT badge – and while it is noticeably softer and less poised than a spot-on Mk1 MGB I have driven chrome-bumper cars that were drastically inferior to this. I would say that outside the realms of the racetrack or a death-or-glory blast around the Welsh mountains, this 1981 car is just as good as its antecedent. Only when driving at the very upper reaches of the car’s abilities would the slight fuzziness to the car’s manners, its greater weight and it’s relatively imperfect balance, really be of any consequence. But on a wet, wild and windy January day the civilisation of the later GT, with its heated rear screen, strong heater, decent wipers and snug cabin, is much more important. 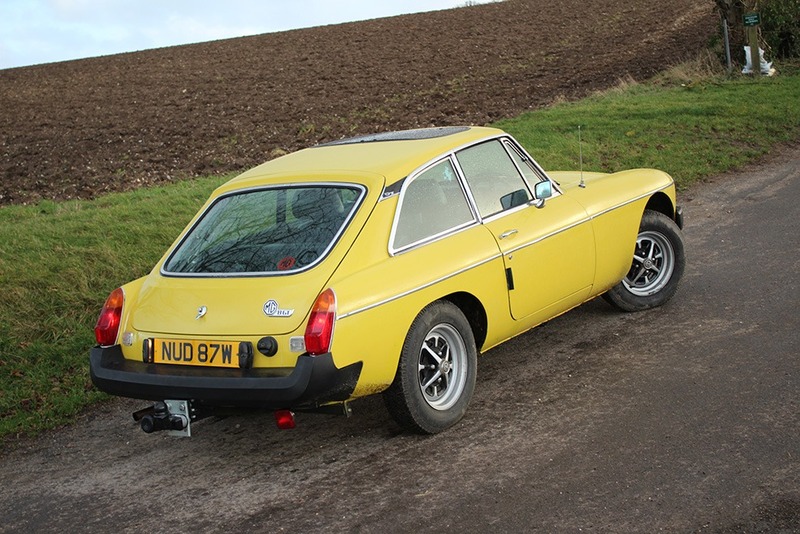 This is a truly all-season, all-reason sort of car, just as the MGB GT always has been, and as a versatile, refined classic with genuine sports car manners this bright yellow example takes a lot of beating. Its price is towards the top end of rubber bumper values and this is deservedly so – it would be a real shame if this pristine car was to form the basis of just another conversion with chrome bumpers, shining grille and a nasty stick-on walnut dashboard. It needs to stay as it is, if only to prove that there is a lot of potential even in the ‘worst’ MGB, which seems to be all-too-often overlooked these days. Which, going by my time with this one, is a real shame.